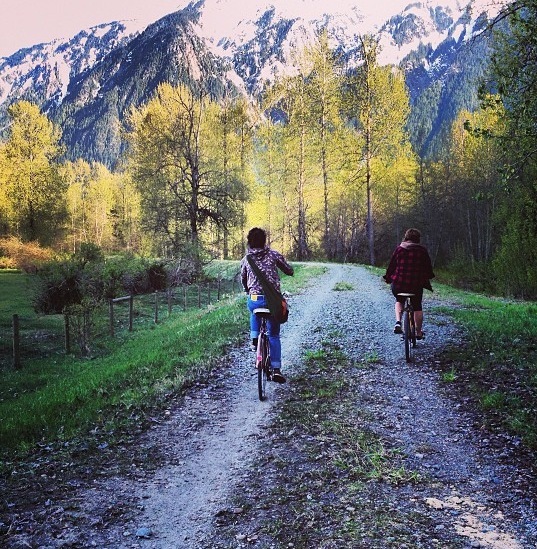 The best part of living in rural BC is the many handfuls of hidden paths and roads. Friends had told me about a great beach, by Green River, in between the Big Sky and Pemberton Meadows golf courses. To get there you need to go down a forest service road. All summer I meant to go there but always ended up on a patio (having a cold bevy). So, on a Thanksgiving bike ride, I decided to check out this spot. It wasn’t too far off the main road and once I arrived I was taken away by it’s perfection. It was beautiful and has a large beach. Nothing is better than a hidden beach surrounded by nature. Next summer I will be here on my time off. Join me for a swim and tan? Fall is here and I’m getting ready for a Pemberton/Whistler winter while holding onto summer. Follow me on my journey! Check back every Wednesday (ish) to see what I have been up to. Once a year I like to do an Instagram/Twitter photo challenge (this being year 2). I chose to do one put on by YYOGA because it just seemed like they had fun words, the Fall time is a pretty season to capture life and when I lived in Vancouver I LOVED practicing yoga there. Why should you hop on the photo challenge train? *Each day there is a new word that inspires you to capture a moment of your day and share it with your network. *It makes you think about what you see and experience differently. *It allows you to connect with others who are participating in the challenge. *You can exhibit a side of your personally that may be suppressed. *You can be as creative as you want. *If you commit, it allows you to hold yourself accountable. *You can include words with your images and this may inspire you to be passionate, creative and witty. *Sometimes, there is a prize. So, if you are on the photo challenge bandwagon with me, give me a follow: @blairfromblairland (Instagram) or @BlairKaplanPR (Twitter) and let’s share pictures and ideas. What is “that?” Bungee Jumping. Crazy. Terrifying. Fun. Scary. Painful (after). I’m glad I did it. It was nuts. I also took along a GoPro. Also, for some reason, I think bungee should be spelled with a “j”: “bunjee.” I think that if you have it in you, go and jump. This is Birkenhead Lake and I want a cabin here. 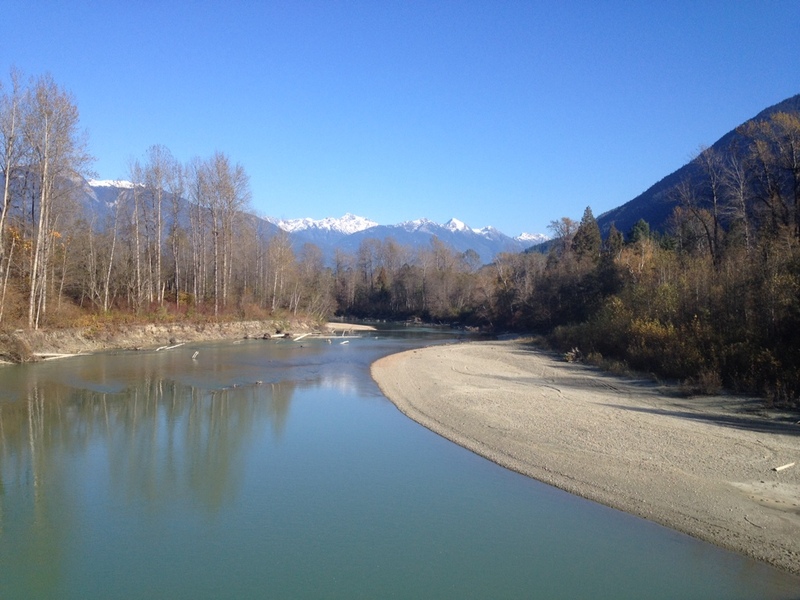 It’s 30 minutes from Pemberton and very breathtaking! 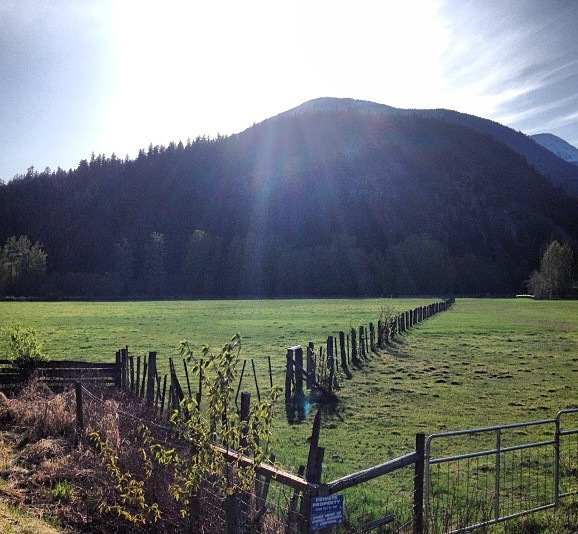 So, should I have a commuter home in Pemberton and a weekend home here? I think so! Danielle thinks so (she knows best…check out her website). Dreams do come true! 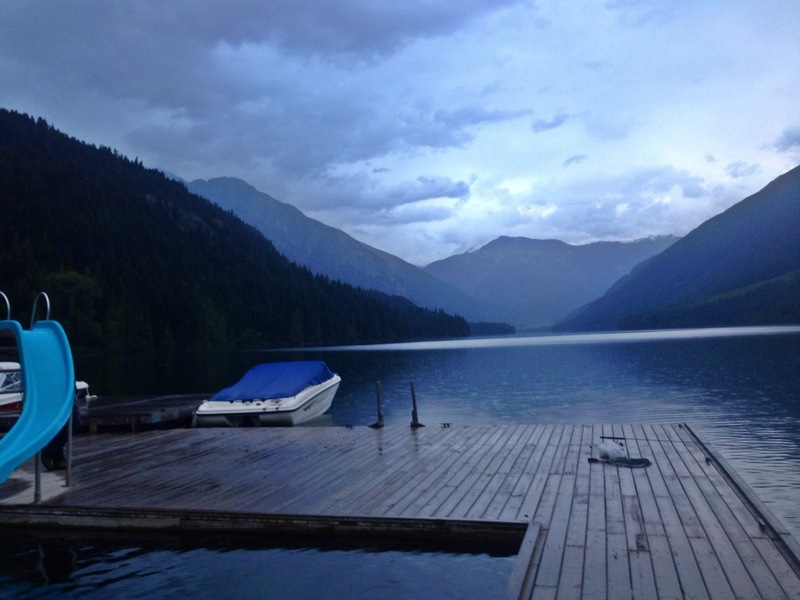 If you could have a cabin on any lake, which lake would it be? My favourite bike ride is up and down Caesar Trail. 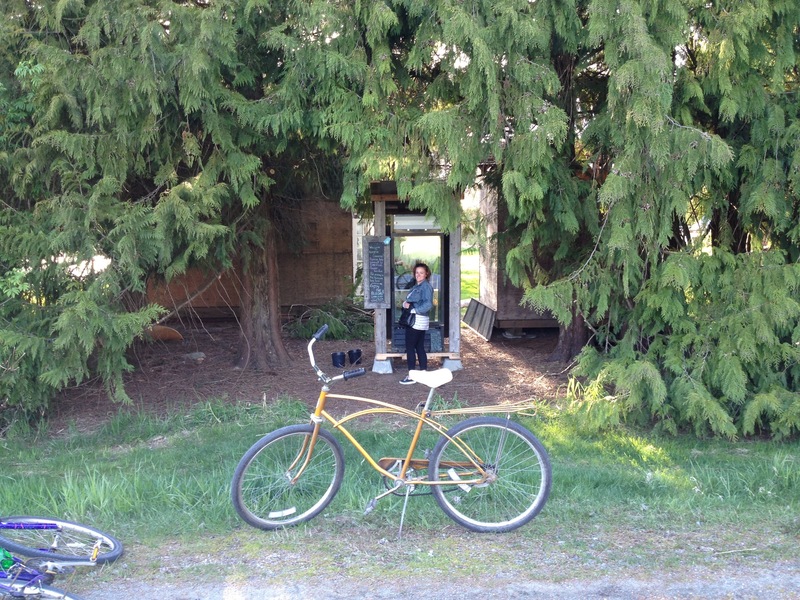 You start at Highway 99 on the dike beside the creek and begin to ride. You follow gentle winds on a wide path, past a field which is often full of grazing cows and end up on a road. The road has very little traffic and runs along side the river. You have the option of going to either The Black Squirrel (at The Meadows) or Big Sky. They both have spectacular views. Round trip is about 6 km and always ends with a Caesar. 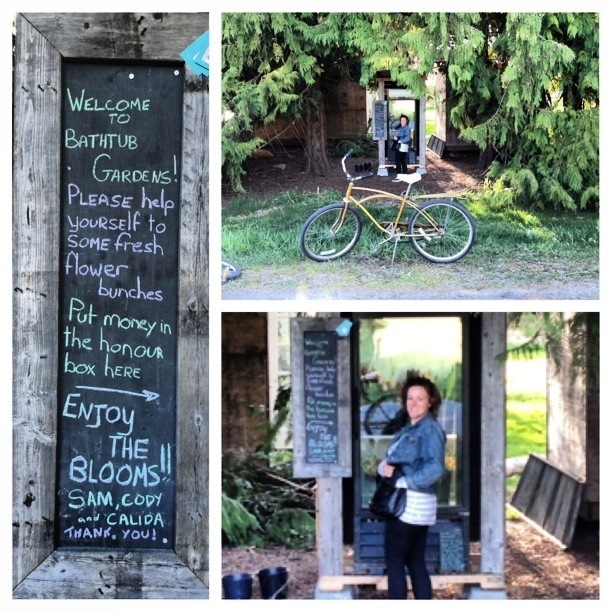 Tara, Blanche (her bike) and myself found a flower fridge. It is called Bathtub Gardens. We found this after she taught me how to put air in my bike tires (which I have not done since I took ownership of Spike (my bike). It rides so much better now. This is a Blanche, Tara and the flower sign picture. Pretty. I’m not telling you where this is because I hope there are always flowers left for me. If you really want to know, I will tell you…….if you leave a comment. We made a pitstop at Scott and Christyne’s house. 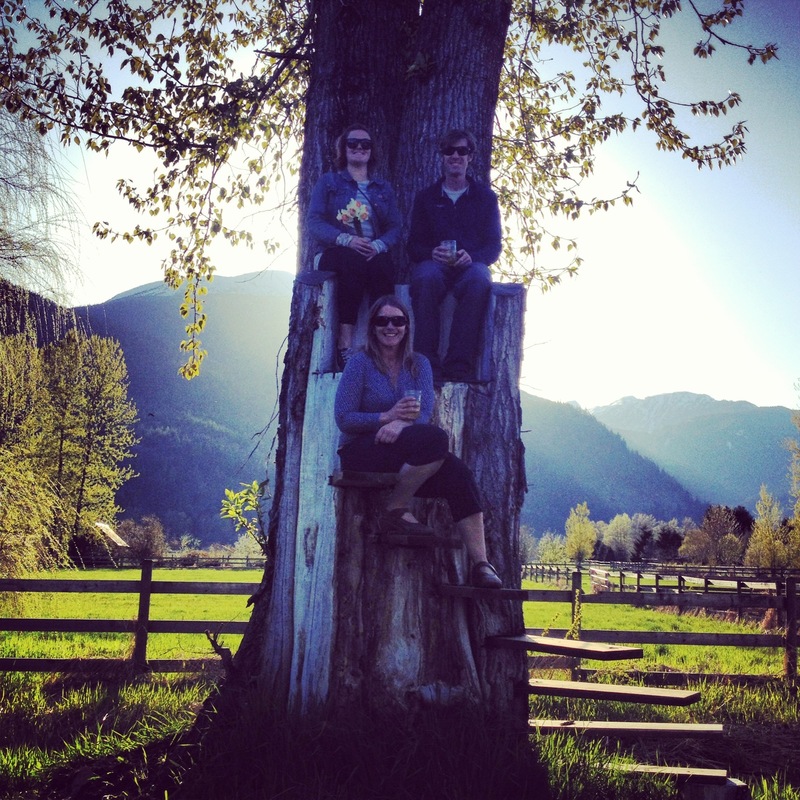 They have a tree stump throne. They also wash windows and their company is called Glass Master Flash. Hire them! Scott taught me how to change gears. Wow, I have 7 gears. My break and buttons on the right are for my rear and I assume all bikes are the same. He showed me where I should have my gears, depending on where I am riding. He also put oil on my chain so I don’t sound like the Tin Man anymore. 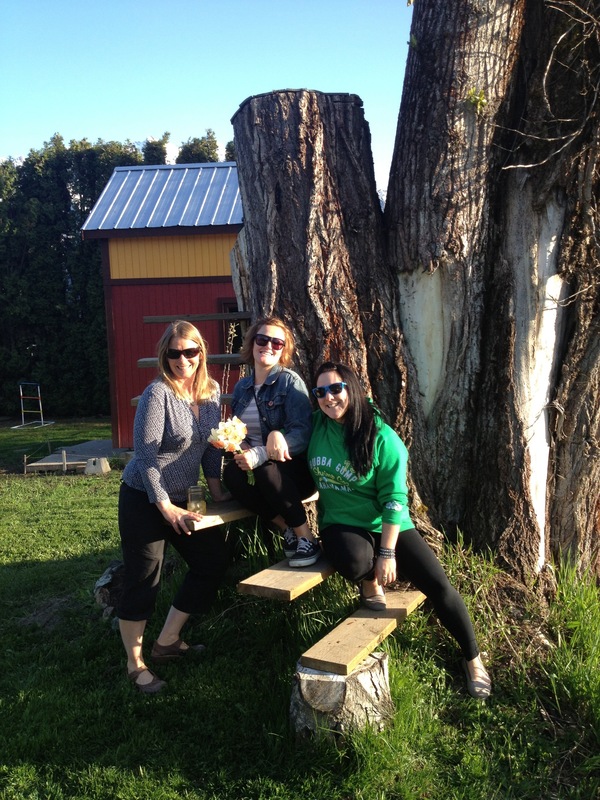 THANK YOU SCOTT, CHRISTYNE and TARA. Spike and myself are happy happy. Bike season is in my life!! !